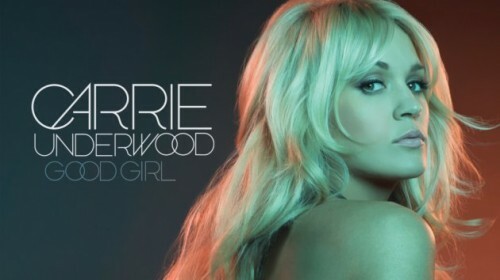 American Idol winner Carrie Underwood constantly tops the charts with her country-influenced hits, and her latest single “Good Girl” is no exception. If you haven’t heard it, “Good Girl” has Carrie belting out lyrics warning a ‘good girl’ to stay away from a not-so-good guy. She tells her to put on her “goodbye shoes” and get out before it’s too late. The music video features the country superstar playing opposite roles: Half of the time, Carrie is the picture of a “good girl” with a sweetheart look, dressed in pinks and pastels. The other half of the time, she’s got a bit of an edge to her character. For her “bad girl” role, Carrie’s outfits are mostly black, featuring dramatic details like exaggerated shoulders and ornate lace. Because of its visual contrasts and numerous outfit changes, Carrie’s “Good Girl” video is perfect to use as a source of fashion inspiration. Below, I’ve created a series of outfits inspired by the music video. Scroll down to view them all! This outfit puts a fun twist on Carrie’s girly girl aesthetic. Wear a pretty lace dress with fringe detail and add some high-heeled gold glitter sandals for sparkle. A cream satin headband, bow earrings, and shimmery bangles complete the angelic yet fun look. 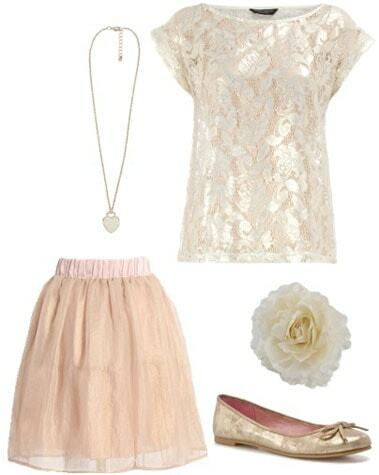 For a more traditional “good girl” look, wear a pretty tulle skirt with a floral lace tee. Slip on a pair of simple metallic ballet flats for a look that’s both cute and comfy. A heart charm necklace and a flower hair clip finish off this super sweet outfit. For a fun night out, channel Carrie’s darker look in a ruffle-covered LBD and some strappy black sandals. A black floral headband and a layered key charm necklace add just a hint of sweetness to this bad girl look. Wear a graphic print tank with a pair of black denim hotpants for edgy, bad girl appeal. A lace motorcycle jacket and lace-up combat boots add extra flare to the ensemble while keeping it casual. Slip on a large rhinestone-embellished ring to complete the outfit. Do you use music videos as a source of fashion inspiration? Are you more of a good girl or bad girl when it comes to clothes? Which outfit is your favorite? Do you prefer Carrie’s “good” or “bad” look? Let me know in the comments!